Are you in a dinner rut? It happens to the best of us. 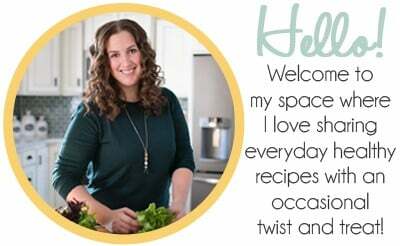 I know I find myself there more often than not, making the same simple meals over and over. I crave something different, but don’t always feel overly ambitious to try anything new. 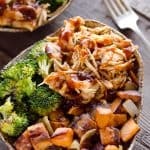 These BBQ Chicken & Roasted Sweet Potato Bowls are the perfect departure from your normal dinner routine, but are beautifully simple and easy! 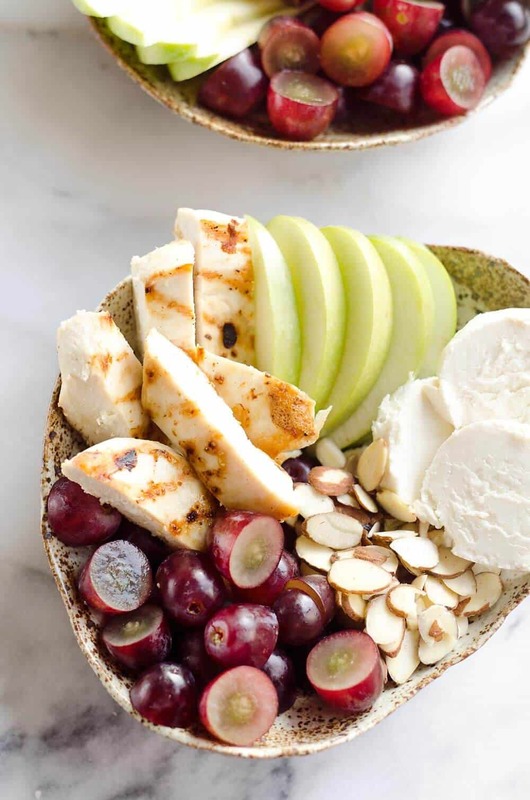 Making these healthy bowls is super simple and only requires one sheet pan! To get started, toss the sweet potatoes and onions on a baking sheet and coat them with olive oil, garlic and chipotle powder. If you don’t have chipotle powder you can substitute chili powder or paprika depending on your spice preference. After the potatoes and onions have baked for 20 minute, remove them from the oven and add the broccoli and chicken breasts to the pan. Brush the chicken with a little BBQ sauce and bake an additional 15 minutes until everything is cooked through. Remove the chicken breasts from the pan and allow to cool for a few minutes before shredding them with two forks. 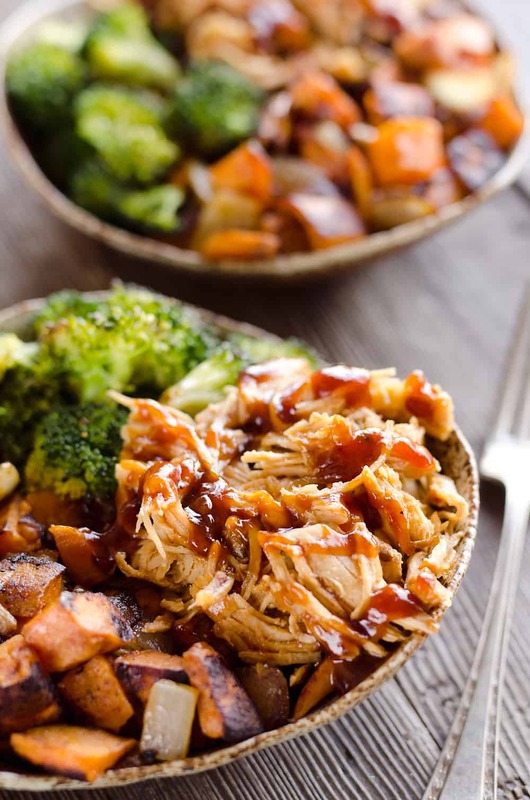 Toss the shredded chicken with a little more BBQ sauce. 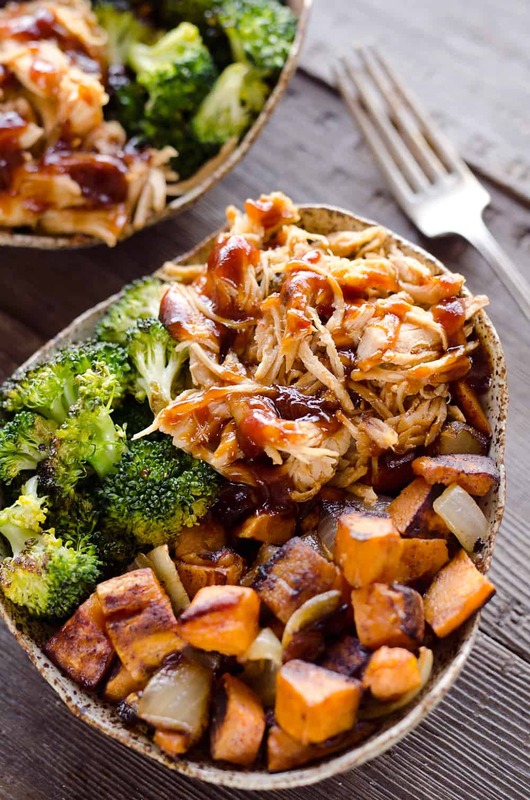 Pile all of the goodness into a bowl and enjoy these delicious BBQ Chicken & Roasted Sweet Potato Bowls! 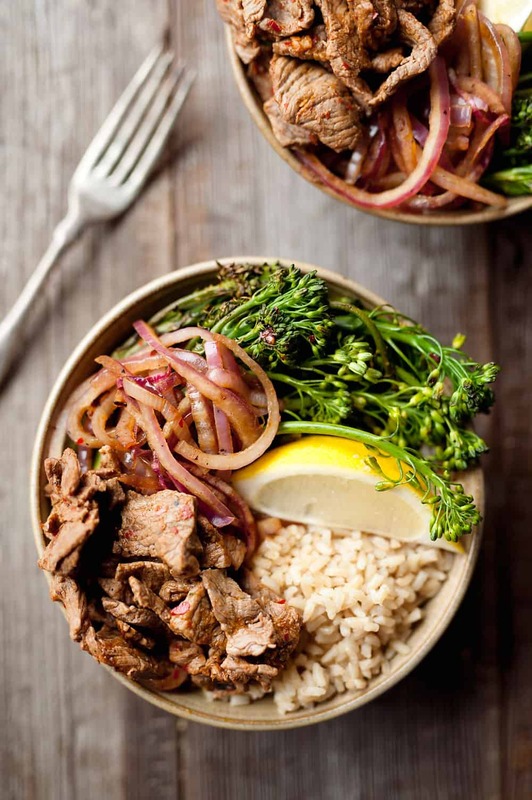 These healthy bowls work great for meal prep. Whether you make a whole batch to prep your dinners for the week or enjoy some of the leftovers packed for lunches to bring to work the next day, they hold up well being reheated. 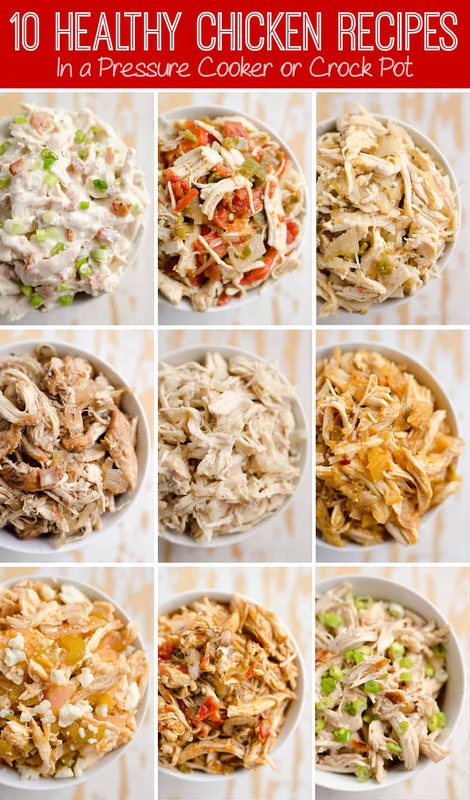 Toss them in your favorite meal prep containers and you have easy wholesome meals without all the hassle of cooking every day! 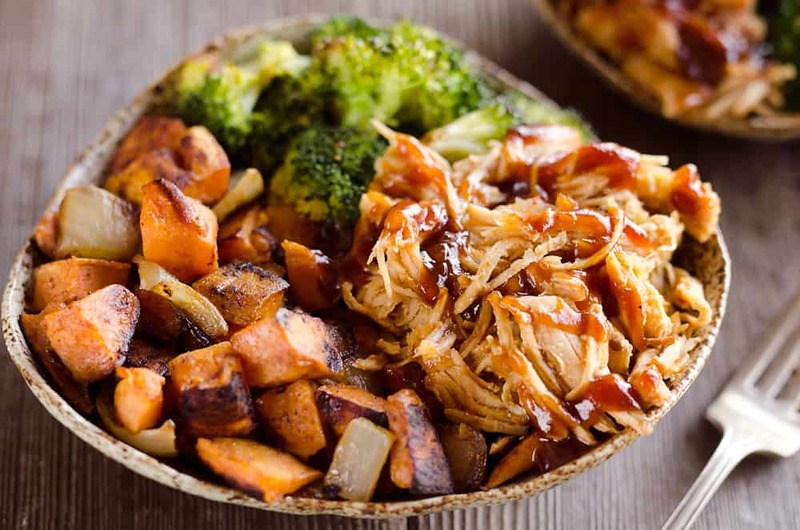 There really isn’t anything better than a delicious and simple meal that is easy to throw together like this BBQ Chicken & Roasted Sweet Potato Bowls. They are a healthy dinner idea full of veggies and lean protein for a meal you can feel great about! Will the chicken only be baked for 15 minutes or do you pre-cook it somehow? The chicken breasts will bake for 15-20 minutes and it should be cooked through. If you are using thick chicken breasts, you would need to add the chicken earlier so it can bake longer. Tried this tonight-so good! I used a thicker chicken breast so I had to bake it longer, but it was still just as tasty! I love the flavor combination and spices, thanks so much for the recipe! So happy to hear you loved it Sofia! So, you continue baking the sweet potatoes after 20 mins with the chicken and broccoli? Loved this! The BBQ chicken and sweet potato were the perfect match! I would recommend leaving the chipotle powder and onion powder off and just using salt – but still good! Your instructions on the recipe card need some re-writing. You say toss the vegetables and you don’t say to put the broccoli aside. Plus I have never had chicken fully cook in 20 minutes, it takes at least 45 minutes. Perhaps you use very large chicken breasts? I know they can vary quite a bit and I typically use the smaller ones. It would’ve been nice if you could have clarified what Theresa said instead of skipping right over it. I’m confused about the tossing of the vegetables as well😔. You say to toss the vegetables while leaving the sweet potatoes on the foil covered pan. Sorry, I wasn’t seeing where the confusion was coming from, but I have spotted it now. I have updated the recipe to be more clear. do you recommend a different veggie besides broc? and if so, how would you adjust the recipe? Readers have commented that they have used asparagus and green beans, both of which sound like great options. For the asparagus, I would leave the time the same, but for the beans I would add them a bit later as they shouldn’t need quite as long. This recipe looks easy and delicious. I love sweet potatoes too and cook with olive oil in most of my recipes. It adds great flavor and is healthier than butter. We tried this recipe tonight and used zucchini instead of broccoli, and it was delicious! The chicken was cooked to perfection in the 15-minute time frame, but we also used chicken breast tenderloins which tend to be a little on the thinner side. Either way, we will definitely be making this meal again! How much is considered one bowl? How well does this reheat? The sweet potatoes will loose their crisp from roasting, but apart from that, the flavors are great reheated! This sounds delicious! Adding it to my meal prep list. Thanks! This is one of our rotation recipes. I love that it’s one pan! We’ve made it a handful of times now, always turns out delicious (: Thanks for posting! Glad to hear you enjoy it Rita! I just came across this recipe and it looks delicious. I am just wondering about the sodium count, which seems high. Is there a way to lower it? If you found a low sodium bbq sauce, that would do the trick. 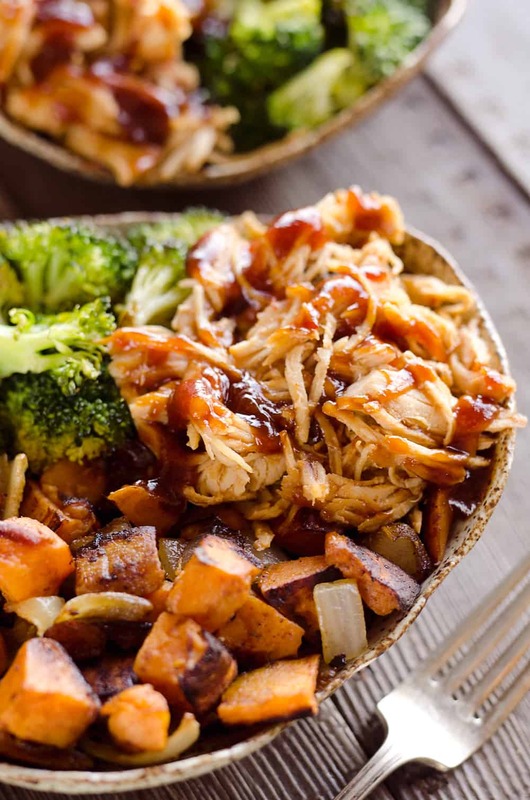 Looking at your BBQ chicken and roasted sweet potato Bowl recipe….you tell us to toss sweet potatoes twice? What do you toss them with the 2nd time and do we remove the onions from the pan at that time?? The sweet potatoes are tossed a second time just so they cook evenly and don’t burn on the bottoms. They are just quickly tossed with a spoon, no need to add anything else! As a fitness guru who needs quick and healthy meals on the go, this is perfect. Thank you! This looks amazing. Just wondering how long can you leave in the fridge…thinking about prepping this ahead of time and eat during the week. It’s good for a week! After making this meal is it okay to put them in the freezer to save for the next week? Your veggies may get a little mushy but otherwise fine! This looks so good! Perfect family meal! Thanks so much for this delicious and healthy recipe! We love it! Thanks so much for having a video it was so helpful! We loved these! Would I be able to make the sweet potatoes more sweet instead of spicy and if so, how would you suggest I go about that? I was thinking brown sugar but I’m not sure how to incorporate it. I would add a drizzle of honey to the potatoes when you add the chicken to the sheet pan. I feel like I am always in a dinner rut, lol!! Thank you so much for the inspo and this looks insanely delicious!! Can’t wait to try this! 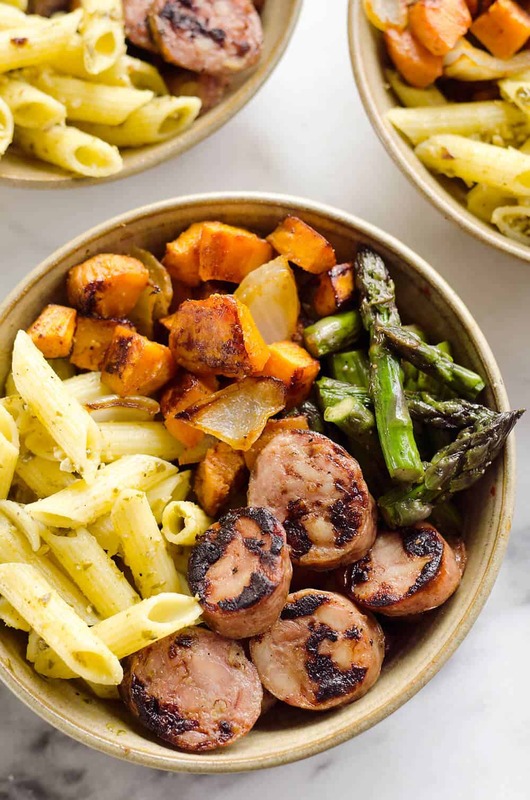 I love sheet pan dinners! My family would go crazy for this! And I’ve got a sweet potato just waiting to be used! Are these able to be frozen ? Yes, but the sweet potatoes will be mushy as opposed to the nice texture you get from roasting them.